The inaugural World Science Festival Brisbane will bring some of the world’s greatest thought leaders to Queensland, showcase local scientists and performers from around the Asia Pacific region, and host the brightest and the best from previous events in New York. At the World Science Festival Brisbane, the biggest stars of science will present the beauty, complexity, and importance of science through diverse, multidisciplinary programming that is the World Science Festival signature. 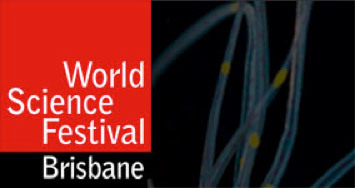 The inaugural World Science Festival Brisbane will take place between 9 and 13 March 2016 and is presented by the Queensland Museum.